Click the “Book It” or “Check Availability” buttons at the top of the page to book your spring stay now! Well, Missouri weather sure is predictable in its unpredictability. 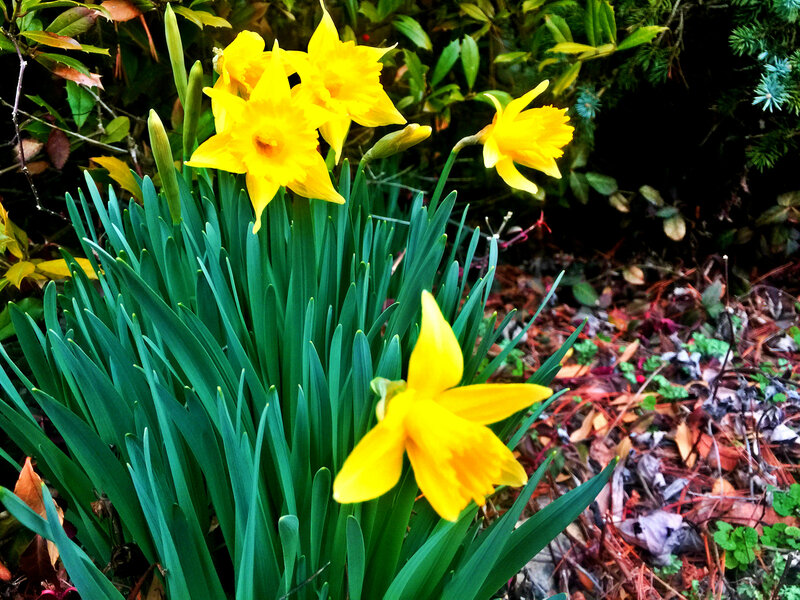 Just a few weeks ago the trees and roads were slick with ice, and now we have daffodils blooming in the yard at the Old Caledonian Bed & Breakfast! As spring approaches, we are reminded here about why this time of year is a favorite of ours. As the green blush starts to color the branches and bushes around the inn, we happily jaunt out to do a little yardwork in our shirtsleeves; even though it might actually be just a bit closer to light jacket weather. The sun shines on the nearby parks and attractions, making them perfect for a visit while the summertime crowds have yet to appear. And the shops, stores and restaurants are planning to awaken from their winter-hour schedule and welcome the visitors who venture out in this early spring. This time of year is perfect for a weekend getaway to Caledonia, and the historic Old Caledonian Bed & Breakfast. The history, authenticity and flavor of our area makes for an active (or relaxing) few days as anyone might yearn for after the chills of the winter begin to fade in the rear-view mirror. Let us invite you in for teatime, luxurious rooms, full chef-prepared breakfasts, and peaceful nights’ rest. Oh, and if you’d like, we’ll also have Chef Jon prepare you dinner (with 48 hours’ notice). Sounds perfect, right? April 14th at 10-5:00 pm- The Historic Caledonia Scavenger Hunt. This is a brand-new village-wide event that promises fun, history and prizes! Hope to see you in Caledonia, and at the Old Caledonian Bed & Breakfast soon!